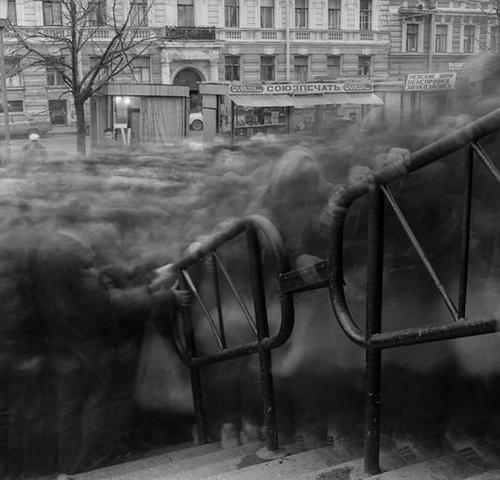 Alexey Titarenko's "City of Shadows" is a series of haunting, gorgeous long-exposure shots of street-scenes in St Petersburg, Russia. The long exposure-times turn the people in the shots into ghosts and suggestions of motion. Link, via Boingboing.